Activated as the 70th Infantry Division at Camp Adair, Oregon in 1943, the Trailblazer Division served throughout World War II in the European Theater of Operations but was deactivated in October, 1945, following its return to the United States. The Division was reactivated as a combat unit in 1952, and in May, 1959, reorganized as the 70th Division (Training). general thomas herren played a great deal of roles serving the united states military. thomas herren was the lieutenant general from 1895-1985, 1936-1942 he was the instructor at calvory school, and for a year after that he was the comanding officer of the 106th calvory regiment. from 1944 through 1945 he was the assisting commanding general of the 70th division. 1945-1946 he was the deputy chief of staff of the 4th army.it seems that the roles he played never end and they dont end there; from 1950-1952 he was the commanding general military discrtict of washington. then from 1954-1957 he was the commanding general of the first army. in 1957 this amazing contributor to our country retired. although i had never heard of this man before this research, he did a great deal of hard work in all of his years serving in the military. thomas herren is a man that should not go unnoticed. 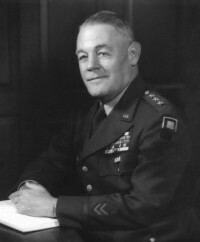 general herren of the 70th infantrty set up a task force to set up various defense positions and to raid and control areas that were not yet in imediate control of the united states. general herrens task force chased the enemy throughout germany for defense and control of the areas.